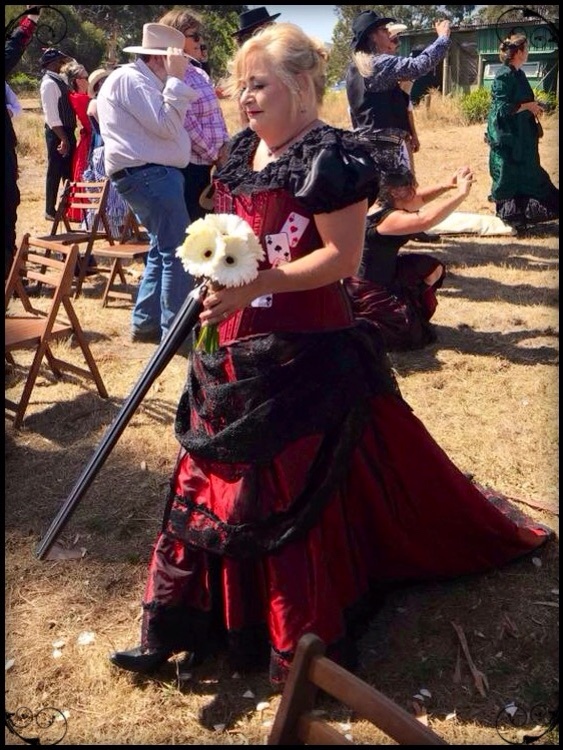 With the recent wedding of Ace McKenzie to Scarlet Assasin, I can now reveal her gorgeous gown, Ace's vest and Dallas Roarke's corset gown that I created for the wedding party. 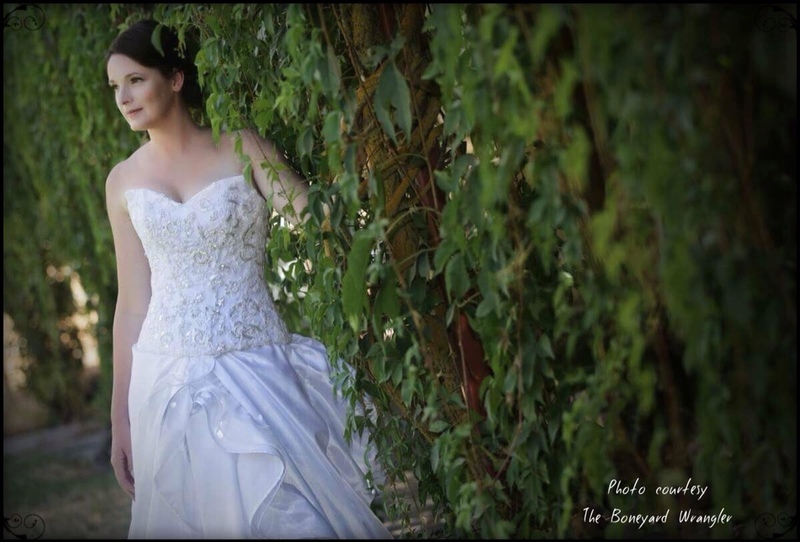 Measurements were obtained 12months ago, sourcing of fabric and lace from various parts of the globe took place and then it was time for getting it together. 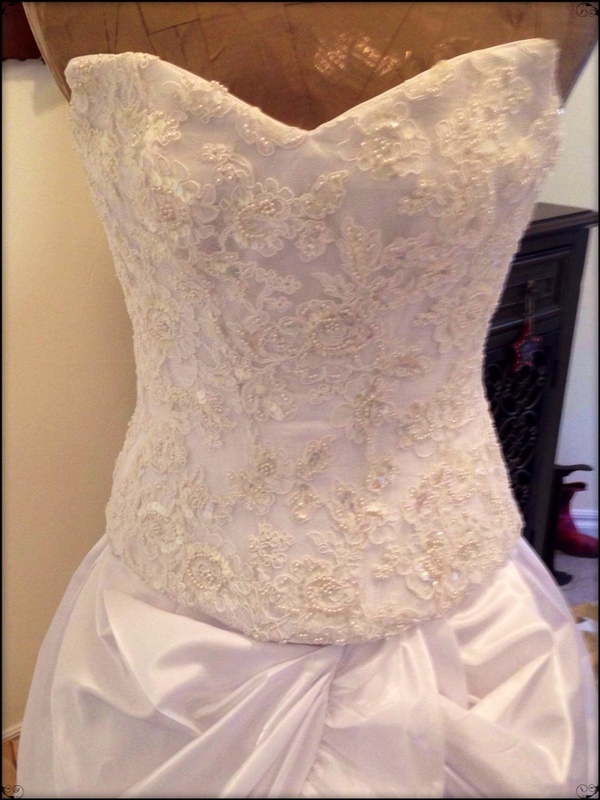 I tried a new corset construction, or boned corset bodice I prefer to term it, much more suitable for a wedding gown. Mock up corsets were sent over for fittings, with progress moving on from there. Scarlet was to have a recreation of a gown she had seen with a couple slight alterations from the original picture. 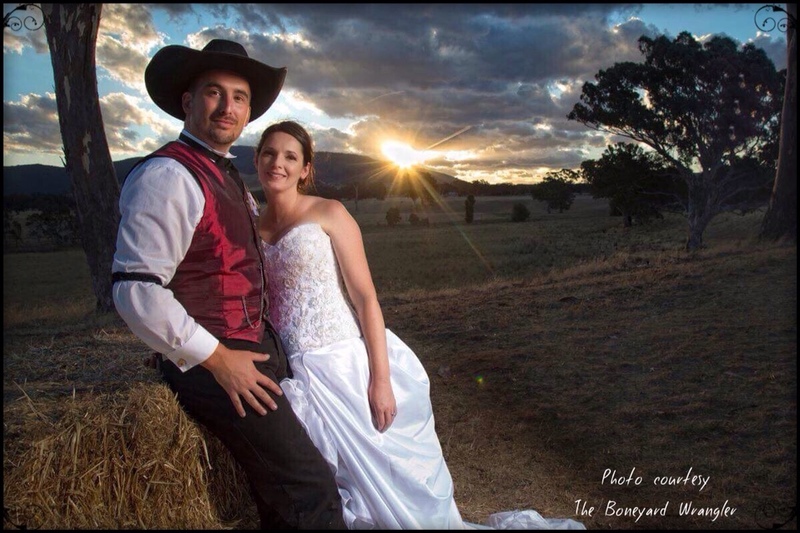 Suffice to say I was happy with how everything turned out but was still waiting for it to arrive safely in Australia to her and know that everything fitted perfectly. 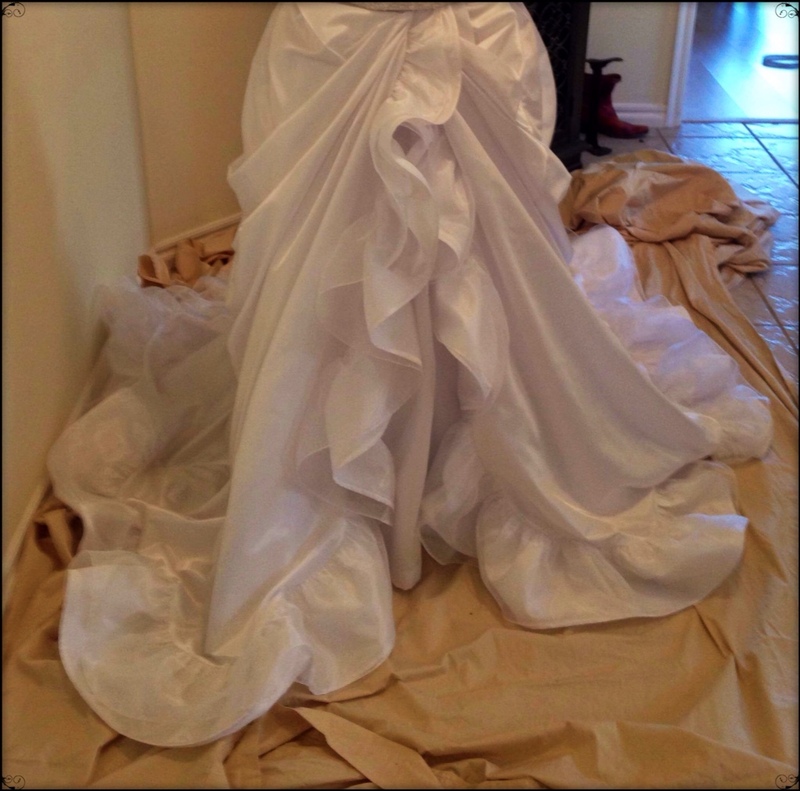 Satin taffeta underskirt and overskirt with satin and crystal organza frills on one yoke to create less bulk beneath the bodice. 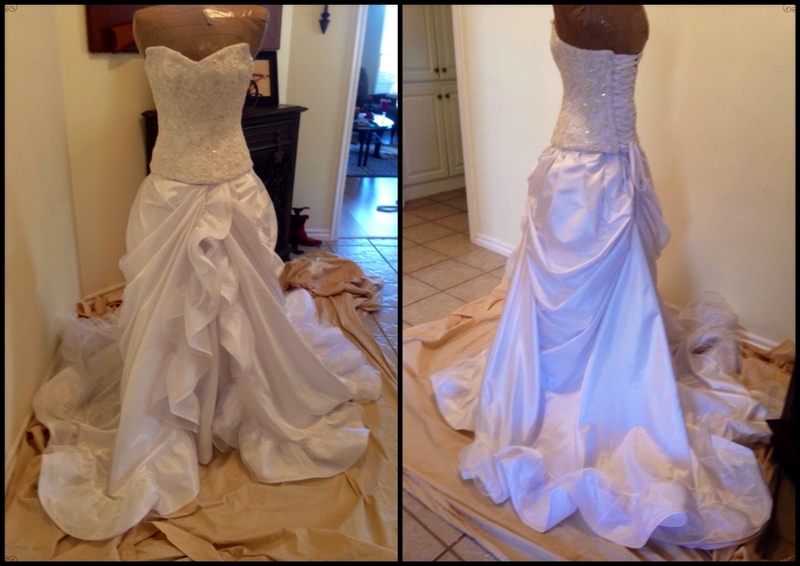 Corset bodice of satin taffeta and full pearl bead, sequinned lace, piped edge finish, rigilene and steel boning. The finished product in full – spectacular! 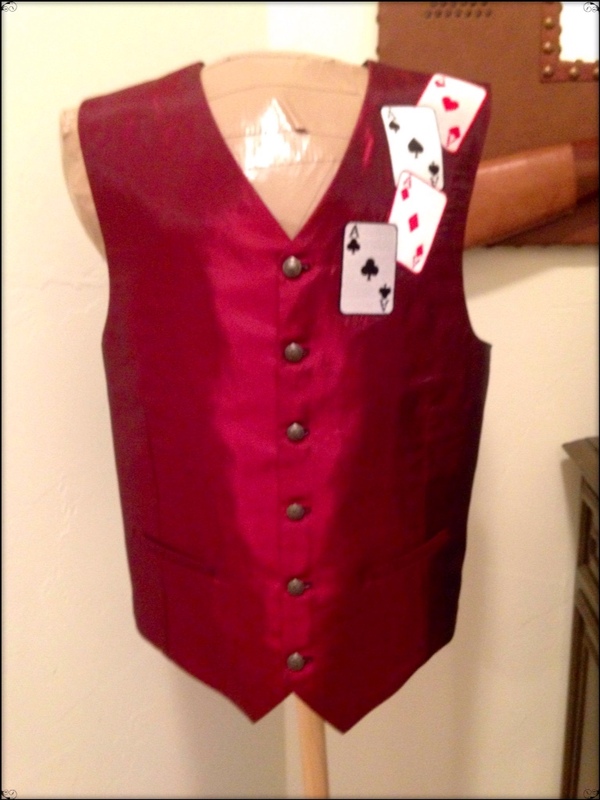 Ace's requirements were for a vest. 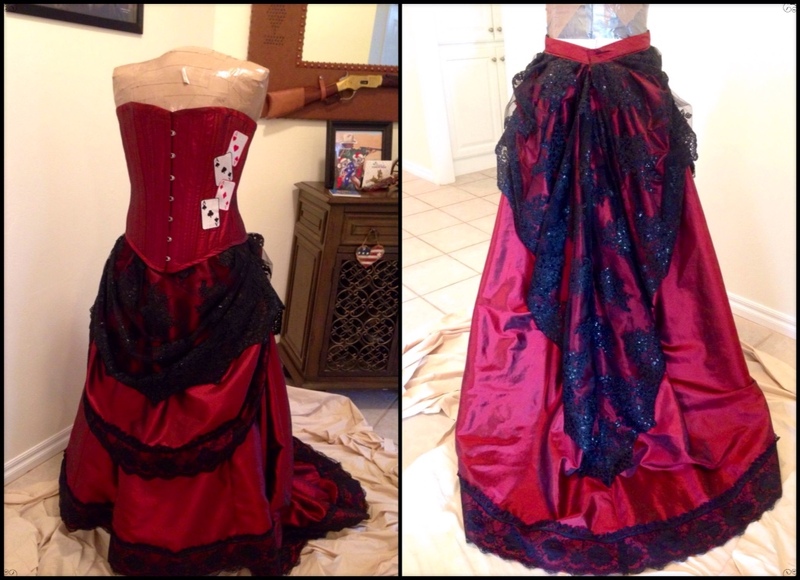 Simple enough, just needed the Ace cards embroidered on the front and in a red shot black taffeta. Some playing around with embroidery designs and figuring out placement, I nailed it first go with the hoop change in the middle. Happy day's! Dallas wanted the Ace cards down the front of the corset on the same red taffeta coordinated with gorgeous lace skirt overlay. I did however, have to do her front section twice over to get the cards lined up. Slightly frustrating but I got there. The red and black is always a sensational pairing. Then came the 'how are we going to get this back there?' To which came a number of expensive options finally arriving at a more reasonable one. I found and used Luggage Free, sending my luggage ahead with the said wedding items inside. What a fantastic service and was there in plenty of time to steam and let set as needed. Ace sent through some photos taken by The Boneyard Wrangler so now can share the beauty of the final production. Congratulations once again Ace and Scarlet! 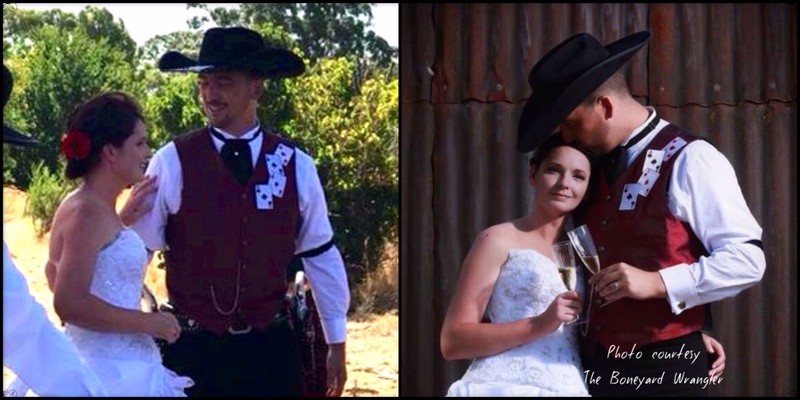 This entry was posted in Lifes a Dance, Love My Life, Sewing and tagged Australia, corsets, cowboy action shooting, friends, Oklahoma, sewing, Single Action Shooting Australia, United States of America, vests of the west, yesteryear seamstress. Bookmark the permalink.